With a number of illnesses comes chest congestion, which may affect your ability to breathe. 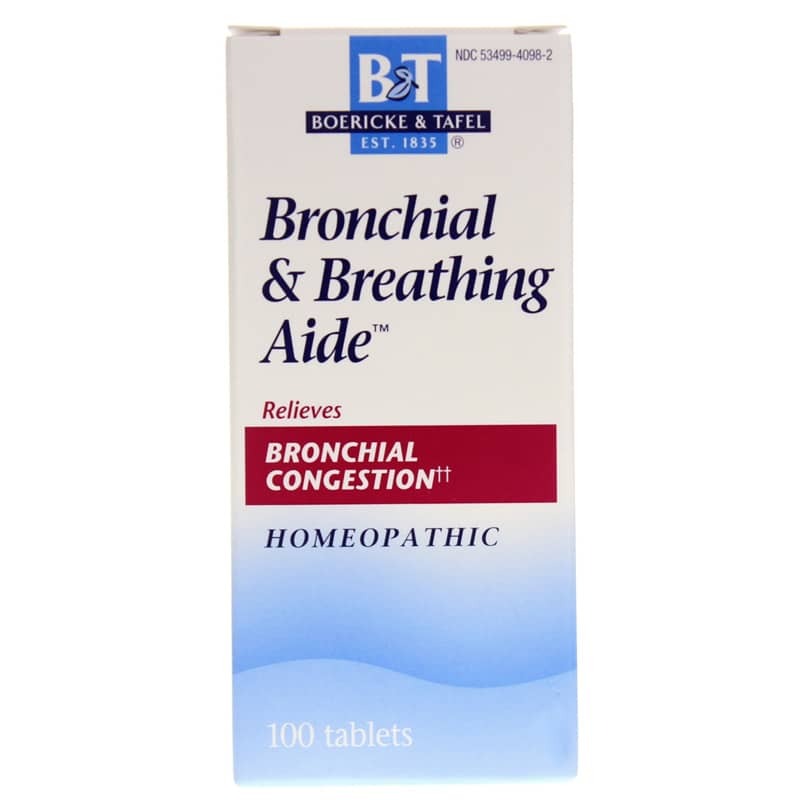 If you've been searching for a natural way to help relieve congestion and get rid of phlegm, Boericke & Tafel offers a product called Bronchial & Breathing Aide. Completely homeopathic, it is used sublingually and may support improved breathing and may also break up phlegm. 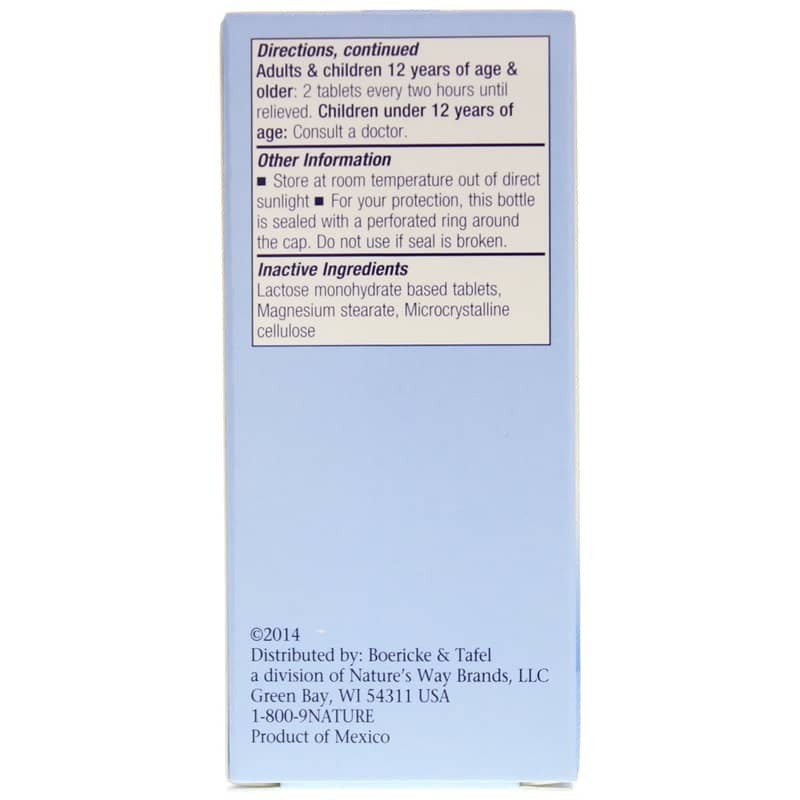 Bronchial & Breathing Aide from Boericke & Tafel is a sublingual medication that can be used by adults, as well as children who are twelve years and older. Two tablets can be used every two hours until symptoms have dissipated. Make the right choice to maintain good respiratory health. Give Bronchial & Breathing Aide a try today, and see the difference it may be able to make in your overall health and wellness. Order now! 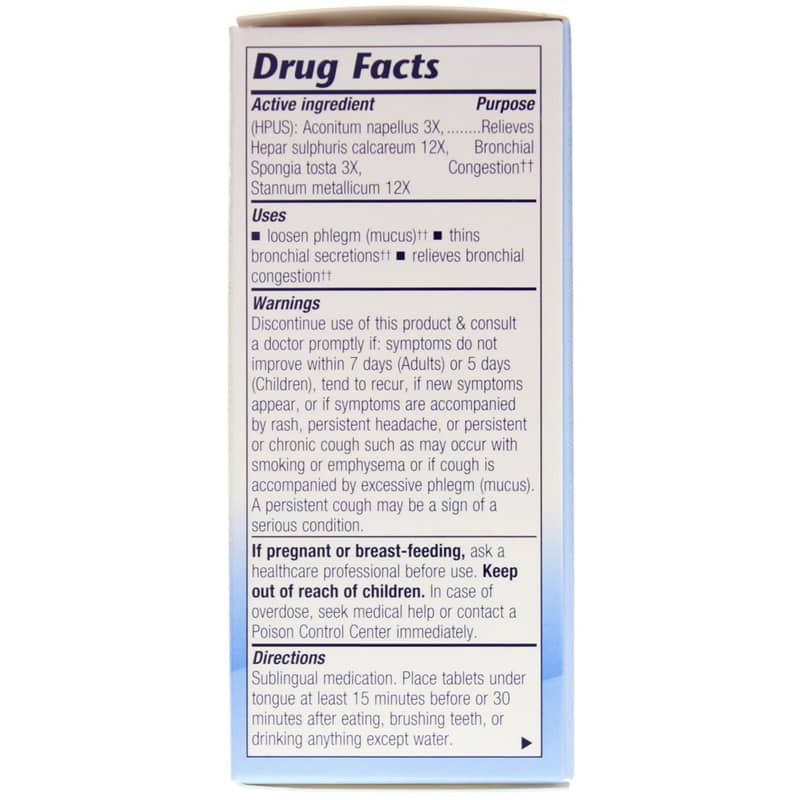 Discontinue use of this product and consult a doctor promptly if: symptoms do not improve within 7 days (Adults) or 5 days (Children), tend to recur, if new symptoms appear, or if symptoms are accompanied by rash, persistent headache, or persistent or chronic cough such as may occur with smoking or emphysema or if cough is accompanied by excessive phlegm (mucus). A persistent cough may be a sign of a serious condition. Keep out of the reach of children.